You save $30.00 — $40.00 (38% — 50%)! 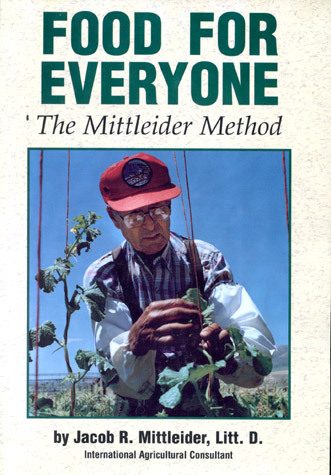 A college-level agronomy text using the proven Mittleider Method of dramatic food production as taught and demonstrated throughout the world, with sixty-four chapters, 621 pages, and almost a thousand drawings, photographs, and color plates. 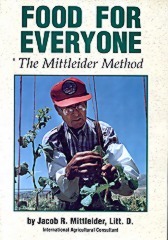 A comprehensive treatment of the new, proven Mittleider Method of dramatic food production demonstrated throughout the world, with sixty-four chapters, 621 pages, and a thousand drawings, photographs, and color plates. Also provides a detailed discussion of all aspects of plant growth, soil and water, nutrients, disease and insect control, harvesting, and marketing. Essential material for all serious vegetable gardeners. Also available in Japanese. Please contact us if you are interested in the Japanese verison. Download Chapter 8: The Parts of a Plant and Their Functions (PDF, 784 KB) and learn the basic anatomy of all plants and understand the functions each part of a plant plays. © 2019, Food for Everyone Foundation. All rights reserved.